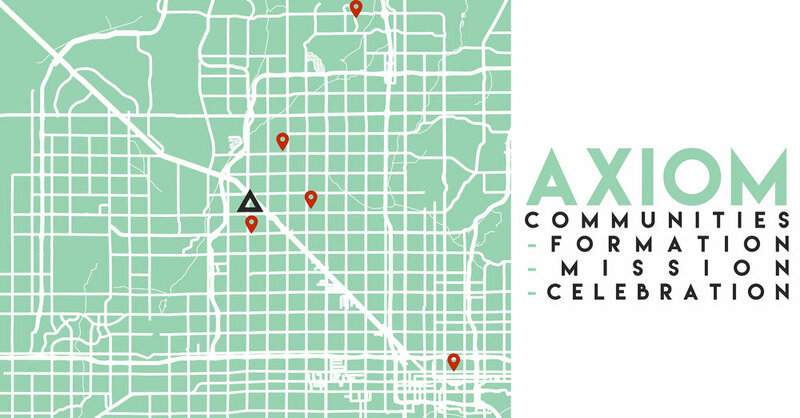 Axiom communities (AC's) are the heartbeat of this church. They are communities of 5-12 people brought together to explore missional living in the expressions of formation in Christ (studying scripture and what Jesus teaches us), mission (meeting needs in our community), and celebration (intentional hanging out with our friends and people outside of the church community). An AC is not exclusively a bible study but instead a group of people dedicated to growing in Christ while on mission for it's neighbors and friends.